Appleworm Orchard is pleased to offer for sale the offspring of our Altsteirer (or Styrian) broodpen. The Styrians — like our Red Dorkings and Sulmtaler, to whom the Styrians are related — are genuinely dual-purpose fowl. Not only are they decent layers of cream-colored eggs, the carcass of a finished cockerel is big enough to be worth the effort to dress. 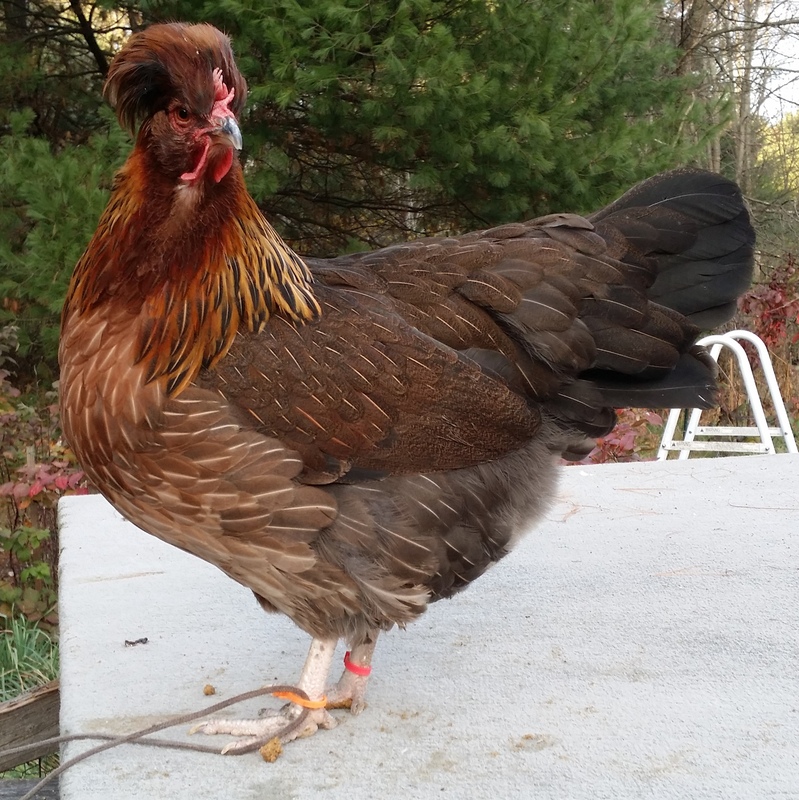 Our first experience with the breed was in December 2013, when our friends at Greenfire Farms sent us a half-dozen Styrian chicks to see whether we liked them. We were initially impressed with their hardiness in the brooder. We don’t find it easy to brood chicks through the winter, especially very young birds in January and February. But these birds emerged very healthy in the spring. We culled the flock down to a pair. And then, in December 2014, when Greenfire sold us their excess broodstock, we replaced our best pullet with four superb Altsteirer hens. From them, we hatched more pullets and selected two to add to our broodpen. (The pullet pictured above is one of the additions.) We have culled the flock again, now down to three hens and the two roosters pictured below. 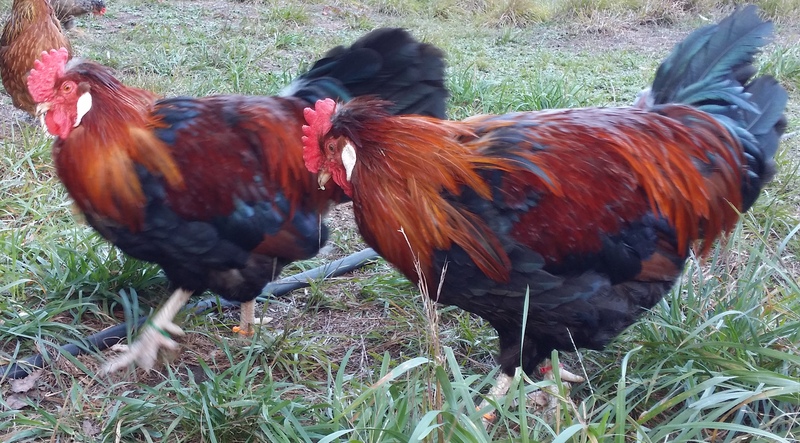 Right now (October 2016) we do not have any pullets for sale. If you would like some next year, please do contact us to be placed on our waiting list. We are, however, are retiring one of the broodcocks pictured below. Contact us if you are interested in acquiring one.